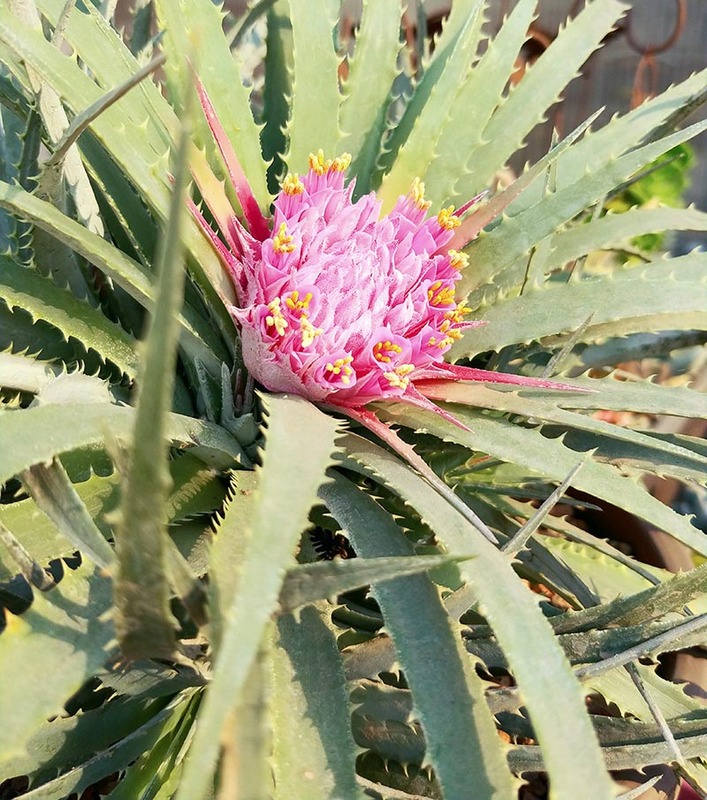 Slow growing grey-green rosette with strongly toothed leaves and pink flowers in summer. Looks best in full sun. Great in containers.